Dr. Corvette V Yacoob, DNP, ARNP, FNP-BC, has been the clinical provider Family Nurse Practitioner at the Student Health Services at Barry University since 2004. Corvette is a three time Barry University graduate. She obtained her diploma in nursing at George Brown College in Toronto Canada in 1978 and has since worked in several various hospital settings caring for both adult, children, and women’s health issues. In 1990 she moved with her family to Florida and worked as an Assistant Nurse Manager for several years at Mount Sinai Medical and managed the employee health department at Mount Sinai before accepting her current position at Barry University. During her years of work she completed her Master’s degree as a Family Nurse Practitioner in 2002 at Barry University and went on to complete her Doctoral degree Doctor of Nursing Practice in 2011. 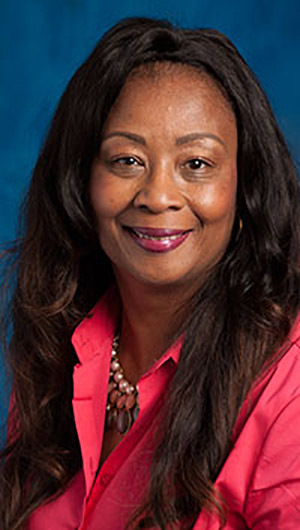 As a board certified family nurse practitioner along with her clinical practice Corvette also works as an adjunct teaching professor for the School of Nursing at Barry University. In 1996 she was awarded the Goodman Scholarship award and worked as a graduate assistant in the Student Health Center from 2000-2002. She has been a member of the following organizations: 1997 Florida Nursing Association, 2002 Sigma Theta Tau Lambda Chapter, 2002 South Florida Chapter of Advanced Practice Nurses, 2004 Florida College Health Nurses Association and American College Health Association.